I am an Enterprise Architecture mentor. Actually, a lot. As a mentor, I get to work with a lot of dynamic people in a variety of roles in many different companies. I usually work with one person or a small group. My job is to get to know them, their organization, their company, their business, and their culture, then share my experience and expertise in Enterprise Architecture and related disciplines to MAKE THEM BETTER. It is that simple. I talk with them on a regular basis on the phone, review their goals and objectives (often helping them to come up with them to begin with), then help them put a plan together to help them achieve their goals and objectives. Then ongoing interactions by phone, email and in person to communicate the plan, sell the plan, execute the plan, and inevitably adjust the plan as changing priorities and conditions demand. In short, I get to help people and organizations make better decisions. In the late 80’s and early 90’s, I had a typical Big 8 consultant’s job. Programming and project management. Then I got a chance to work with some companies who had begun the process of developing and then trying to integrate distributed systems. Inevitably, this became a more difficult task as the number of really cool, useful distributed systems would grow. The more I saw, the more I figured out that this could get out of control pretty quickly without some foresight and planning. It was still a few years before I came to know this type of approach as Enterprise Architecture, but that is how it started. Eventually I became a Chief Architect at a national healthcare insurance company, got recruited to Meta Group to be an Enterprise Architecture analyst, met George Paras, left Meta Group and started EAdirections with George in 2006. I have worked with companies in a variety of industries, sizes and maturity levels, and I still haven’t found one that couldn’t do a better job of making decisions that take the breadth and long-term direction of the enterprise into account. Good people working hard to do the right thing, but not equipped to do so without the tools and techniques that I can help them with. Mr. Westbrock is a leading authority on IT leadership, enterprise architecture (EA), enterprise portfolio management, governance, and organizational issues related to enterprise level planning. He started EAdirections with George Paras in 2006. 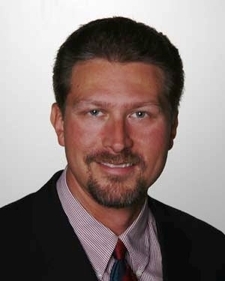 He has worked with 300+ companies in various industries and the public sector to mentor them in their approach to enterprise architecture, including Procter & Gamble, Province of Ontario, State of Ohio, American Express, Sprint, Blue Cross/Blue Shield of Florida, Eli Lilly, La-Z-Boy, McGraw Hill, and Nationwide Insurance. He has advanced the state of the art of EA processes and was the driving force behind META Group’s EA research agenda and METAmethod – a best-practice transformation method for EA development. As a dynamic speaker, Mr. Westbrock is a frequent lecturer and educator at industry events and workshops. He has over 20 years experience in the IT industry as an analyst, consultant and architect. Before joining META Group, he was the chief architect for Anthem, Inc., responsible for driving its enterprise architecture strategy. He began his career with Andersen Consulting, specializing in methodology, project management, and assisting clients with legacy-to-client/server migrations. He has a B.S. in Applied Science for Systems Analysis from Miami University in Oxford, Ohio. He also serves on the editorial board for The Journal of Enterprise Architecture.